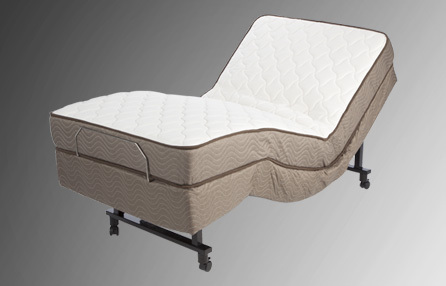 Enter your information at right to enter to win a FREE Easy Rest Classic Adjustable Bed. It’s our way of thanking you for your time and interest. A new winner is chosen every month and the next winner could be YOU! There is absolutely NO OBLIGATION or purchase necessary. In fact, a purchase will not increase your chance of winning. Filling out your potential winning entry is fast and easy. In less than 30 seconds your name can be entered to win a bed that will give you a lifetime of adjustable comfort. Simply fill out the form at right and you’ll be entered to win a FREE Adjustable Bed – no strings attached. It’s that easy! To enter by phone, call 1-800-217-5206. NO PURCHASE NECESSARY TO ENTER the Easy Rest Adjustable Sleep System Sweepstakes. A purchase will not increase your chances of winning. Sponsor: Easy Rest Adjustable Sleep System, 1436 Wells Drive, Suite 5, Bensalem, PA 19020. Odds of Winning: Odds of winning depend upon the number of entries received. Estimated 1:1,000,000. Providing your number is not required to enter the sweepstakes. Doing so you agree to receiving calls and authorize Easy Rest to contact you to determine your interest in learning more about the Easy Rest Adjustable Bed at the telephone or mobile number you entered using automated telephone technology. You are not required to give your consent as a condition of purchase or entry. FREE Color Brochure by return mail or online response. FREE Color Brochure by PDF download. Complete Rules and Privacy Statement also available at www.easyrest.com/sweepstakesrules. Eligibility: Must be 18 years of age or older and a resident of the Continental United States. Void where prohibited by law. Subject to complete rules.